Retrovolve – Why Is the Guy from the Classic 720 Degrees Arcade Game Not Wearing Any Pants? 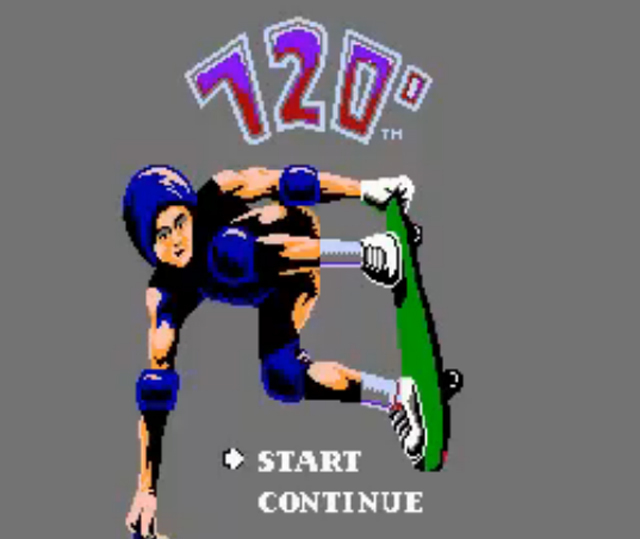 Why Is the Guy from the Classic 720 Degrees Arcade Game Not Wearing Any Pants? Reddit user Jakobud once made an interesting observation concerning the arcade classic 720 Degrees. In the game’s title screen, the skateboarder character doesn’t seem to be wearing any pants. Now, maybe I’m just being overly concerned about his safety here, but that seems to me like a really bad strategy for a skateboarder. I mean, the dude knows to wear elbow and knee pads, and possibly a helmet (though that could just be an amazing 80s hairdo), so he clearly takes the safety of his elbows and knees very seriously. But apparently he has an “everything goes” policy when it comes to his genitalia. Oof. In fact, when you look close, it seems like this skater dude’s naked bottom half carries over into actual gameplay too. Or maybe not. It’s hard to tell with the low bit count.